Copyright © 2010-2015 Angelica Regala. 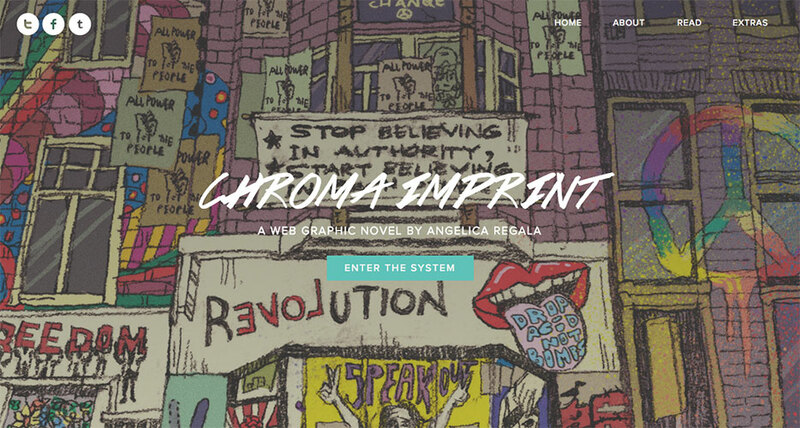 Chroma Imprint is a web graphic novel about a resistance group of technicolored youths dedicated to freeing the people from their dictatorial government. It is based on a period in Philippine history known as the Martial Law era of the Marcos regime (1972-1981).